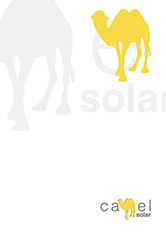 Glan Blake-Thomas, Managing Director at AET, the supplier of the Camel SolarR thermal collectors to the UK market, explains how new, aesthetically attractive and energy efficient designs open up fresh installation opportunities for building services contractors, consultants and architects. Sunshine is free. It does not have to be purchased, mined, refined, imported or transported. Which is why, with the cost of fossil fuels rising rapidly and with business operating margins becoming ever tighter, building owners and occupiers are now giving serious consideration to solar thermal systems for commercial applications. Solar thermal systems use specially designed solar collectors to harvest heat from the sun for use in both space and water heating applications. Typically, these can include flat plate collectors, stylish façade collectors and evacuated tube collectors for large scale applications where a premium performance is required. Whatever the type of collector installed, solar thermal systems generally work by storing the heated water in an insulated storage vessel which is usually connected to a boiler or which contains an electric immersion heater to supplement the collector’s output at times of high space heating or water demand. Until recently, the majority of solar thermal systems were limited to small domestic applications in the UK. However, stricter planning rules, which require new commercial buildings to meet up to 20% of their energy demands from renewable sources (commonly called the Merton Rule) have seen the number of commercial solar applications start to increase. This is because, unlike many other renewable technologies, solar thermal is a proven and durable technology which is cost effective to install for the majority of commercial applications. Improvements in collector efficiency and the recent introduction of the Renewable Heat Incentive (RHI) scheme, under which the government will pay a tariff for each kWh of energy generated by a renewable technology, will lead to further increases in both new build and retrofit applications. The use of renewable technologies is also being driven by businesses wanting to be seen to be green in response to increased public awareness of environmental issues. In addition, a solar thermal installation will also save on the amount of carbon taxes paid by larger organisations under the CRC Energy Efficiency Scheme. Because solar thermal technology is so simple and reliable, it is suitable for a wide variety of commercial applications. However, it is particularly relevant for businesses that use a high volume of hot water such as hospitals, hotels, breweries, dairies and public and private swimming pools. In the Middle East and southern Europe, solar thermal systems have even been linked to absorption chillers to provide chilled water using heat from the sun; it is a perfect synergy of technologies – the hotter the sun, the more cooling that can be produced. In the northern hemisphere, the optimum performance of a solar thermal collector will occur when the unit faces due south. However, the efficiency of sleek, modern collectors will ensure that installations facing south east, south west, or those which are even orientated westward can provide a meaningful energy input. Until now, collectors have often been mounted on a building’s roof or on an adjacent patch of ground. However, the decision of where to site a solar array has become a lot easier with the recent development of solar thermal collectors specifically designed to be integrated into a building’s façade. Façade mounted collectors are particularly suitable for applications where there is insufficient space on a building’s roof or where the roof is shaded by adjacent buildings, or even for applications where a roof faces north, away from the sun. In addition, the collectors are ideal for buildings with flat roofs in areas where planning rules or aesthetic demands preclude a roof-top installation. Both conventional and façade type solar thermal collectors can supply up to 60% of a building’s heat demand over a year. Solar irradiation in a UK winter is about 30% of its summertime peak. Even so, with a suitably sized array hot water can still be generated. It is not unusual for water to be heated to 60°C in October and November, for example, helping reduce carbon emissions. We have recently completed a study on the feasibility of solar thermal applications in the UK. It found that for a school using 4000 litres of hot water a day, a solar thermal solution would save approximately 45,000kWh of energy with a corresponding reduction in CO2 emissions of roughly 10 tonnes. From a financial perspective this will shave around £3000 from the school’s gas energy bill each year and possibly 5 times that if electricity was the energy source. For large scale consumers, like hotels, where hot water consumption can be up to 10-20 times this amount, the story becomes even more powerful as the savings will have a significant impact on the bottom line. Based on this study, AET has calculated that energy savings coupled with government payments under the Renewable Heat Incentive will give a return on investment for a solar thermal installation of approximately 7 -8 years. However, with energy costs set to rise in the near future that payback period is likely to reduce still further. 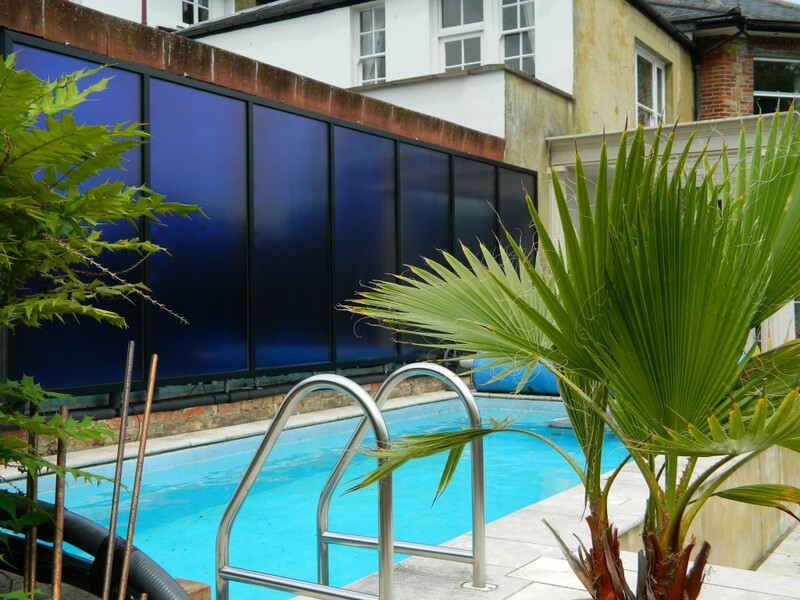 All of which serves as proof that there has never been a better time to consider a solar thermal installation.